Analysis of LiDAR imagery for Tutuila, American Sāmoa, confirms extensive modification of the interior landscape. feature types in LiDAR images for three areas of Tutuila. Our results are applicable across the island. Cochrane, E. and Mills, J. (2018) “LiDAR Imagery Confirms Extensive Interior Land-Use on Tutuila, American Sāmoa”, Journal of Pacific Archaeology, 9(1), pp. 70-78. 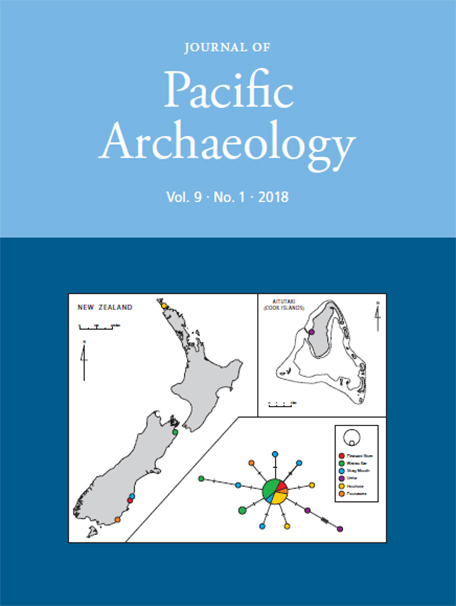 Available at: https://www.pacificarchaeology.org/index.php/journal/article/view/250 (Accessed: 22April2019).